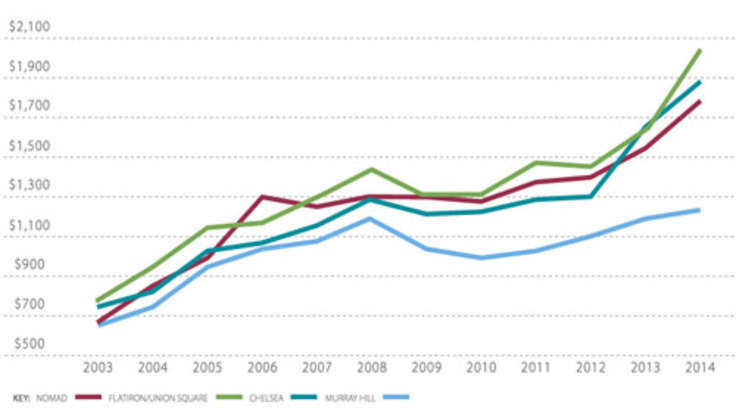 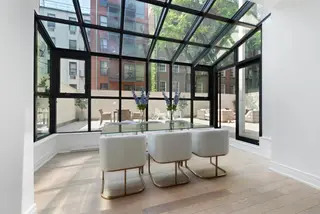 As New York City's virgin buildable land gets gobbled up by new buildings built to their maximum zoning allowances, converting more antiquated structures into new uses has become a more popular options for developers looking to bring 'new' residential space to the market. 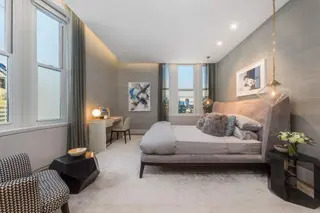 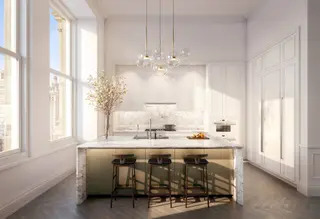 For the most part, developers and designers have had the good sense to maintain attractive original historic details while adapting the buildings with modern updates and amenities. 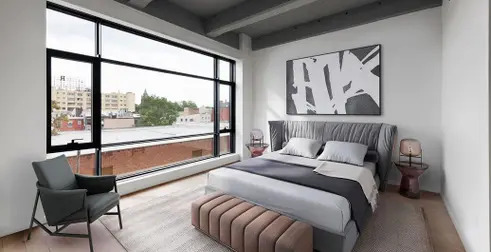 And as the market shows, a building with characterful elements works wonders to attract interest from buyers, history buffs, architecture aficionados, and real estate enthusiasts alike. 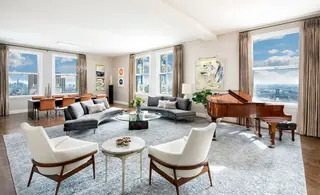 Today, we take a look at availabilities in some of the city's most exciting condo conversions of recent times. 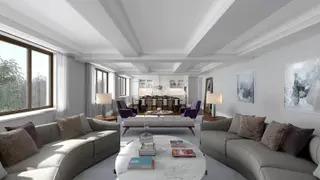 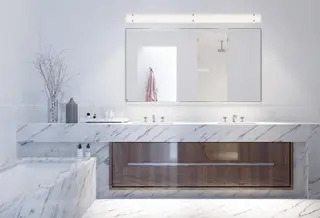 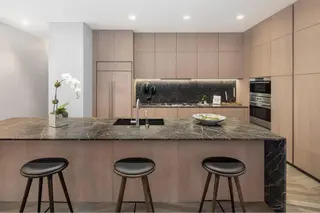 The Art Deco limestone rental at 88 Lexington Avenue and the postwar office at 90 Lexington Avenue were conceived as separate buildings in separate architectural eras, but acclaimed architecture firm Workshop/APD has brought them together into one highly coveted Gramercy condominium. 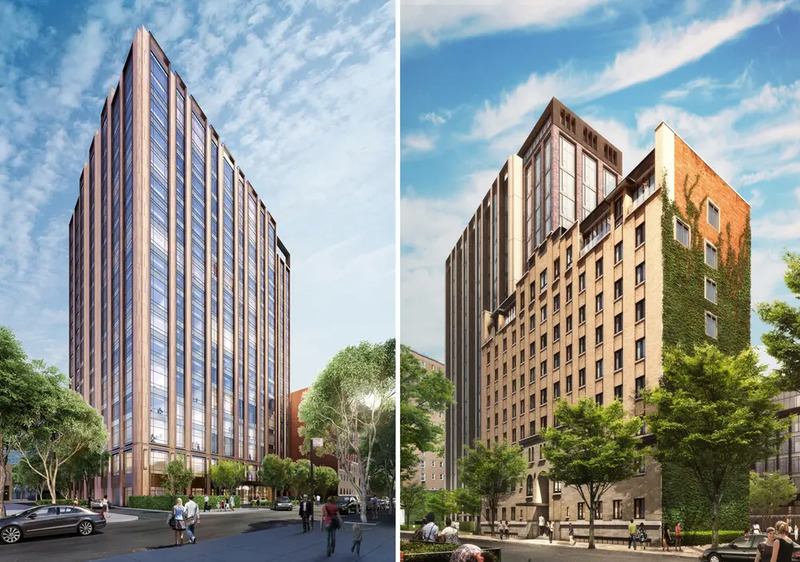 The design distinctions are still on display, and both buildings are connected by a shared lobby. 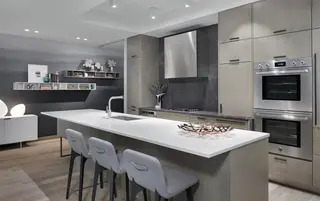 A 60-foot pool was put in formerly vacant basement space, and additional amenities include a fitness center and yoga studio, game room, screening room, and children’s playroom. 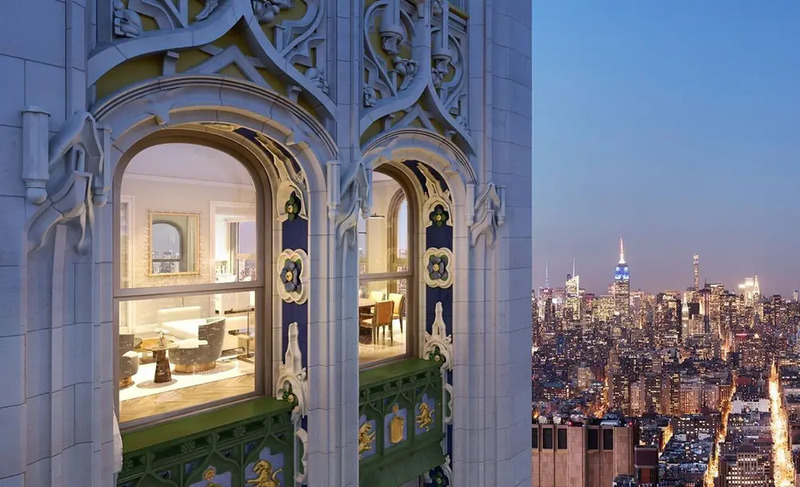 When the Woolworth Tower was originally built in 1912, the 792-foot-high building was the tallest in the world. 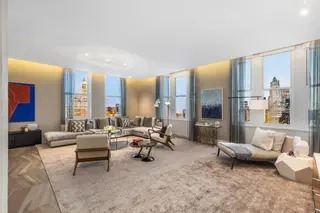 It may have lost this title, but it gained a designation as a city landmark both inside (the lobby spaces) and out and a place among the city's most prestigious condos. 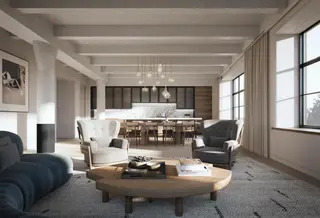 The 55-foot saltwater pool was originally the private pool of Mr. Woolworth, and additional building amenities include a 30th floor fitness center, a 29th floor residents’ lounge, and a wine cellar with tasting room and lockers holding up to 185 bottles. 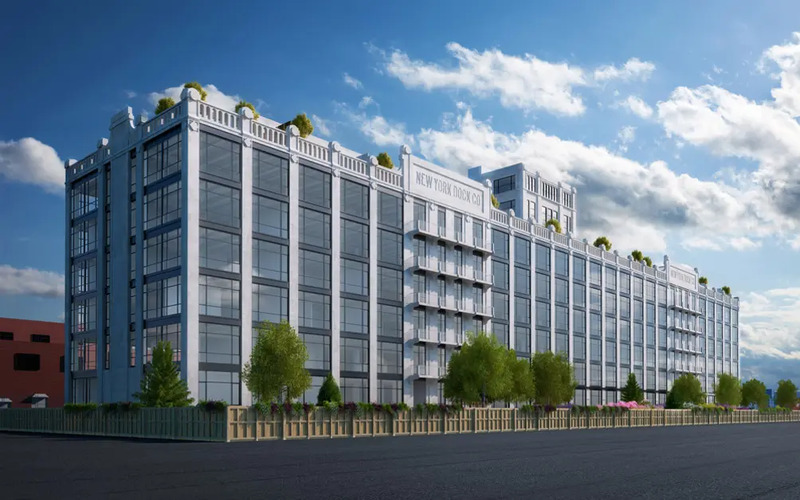 History keeps being made at 160 Imlay Street: When it was constructed as a New York Dock Co. building in 1910, it was the first reinforced steel and concrete building in the United States. 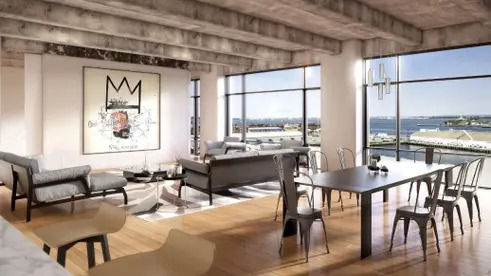 More than 100 years later, it became the largest condo offering in Red Hook. 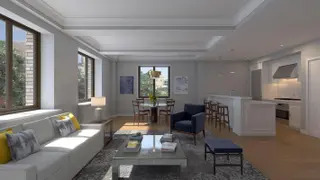 Three floors were added, though not at the expense of historic details. 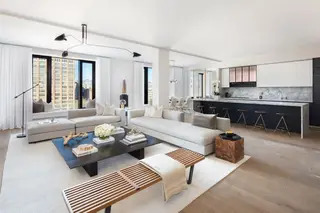 All residences have open layouts, soaring ceilings, and oversized windows looking out on beautiful Manhattan skyline views. 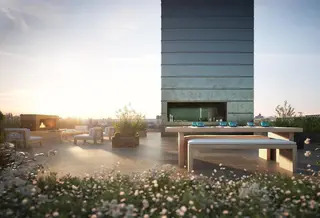 Select units have private terraces, and all residents have access to a landscaped roof deck, fitness center, and steam room and sauna. 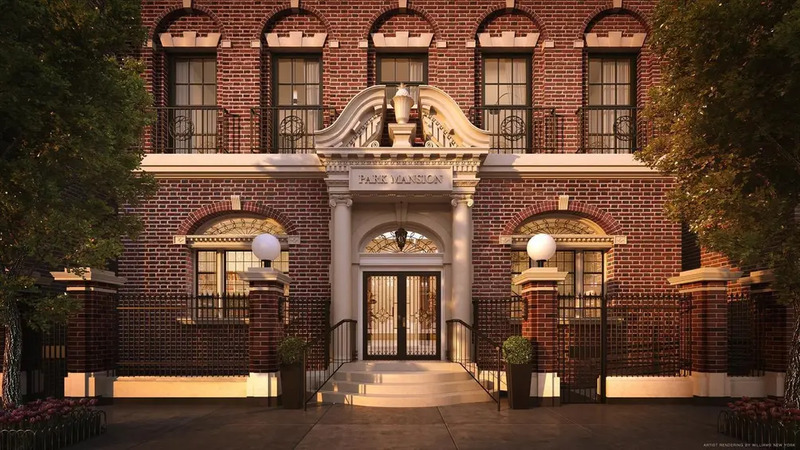 Originally erected in 1900, the neo-Georgian Park Mansion has a rich history as a community house and a home for pregnant teenagers before its most recent renovation to condos. 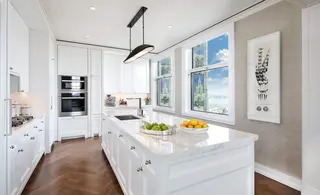 Jeffrey Cole Architects converted it to six full-story condos while restoring its neo-Classical portico and keeping its steeped gable, arched windows, red brick work, and impressive columns intact. 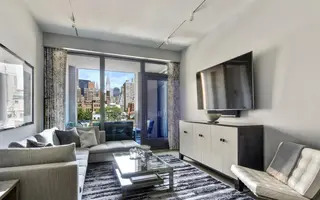 It is between Central Park and Carl Schurz Park, and a short walk from popular local restaurants and the Second Avenue subway. 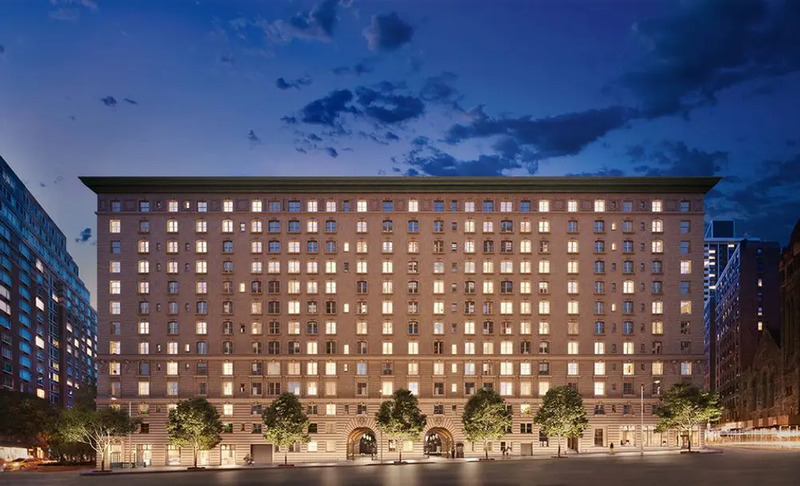 To visit 11 Beach today, one would never know it started out as a commercial building when it went up in 1910. 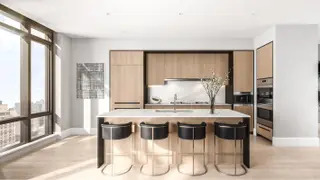 BKSK Architects took pains to preserve the building’s history while transforming it into highly desirable residences. 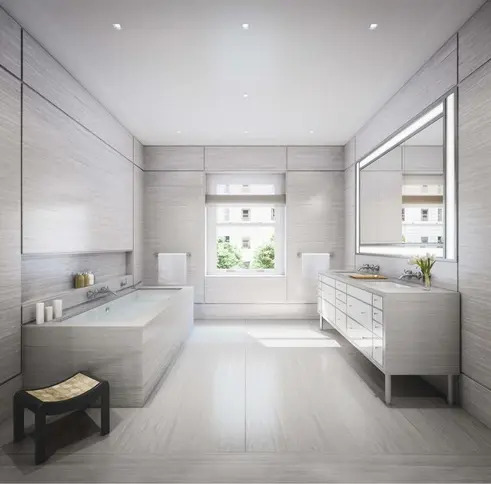 All interiors by Thomas Juul-Hansen are rich in open entertaining spaces and high-end finishes, and select units have outdoor living rooms. 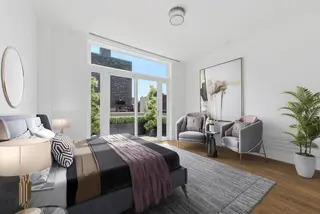 Amenities at this doorman building include storage, a children’s playroom, a landscaped roof deck, and a bespoke fitness center with a skylight looking up on the inner courtyard. 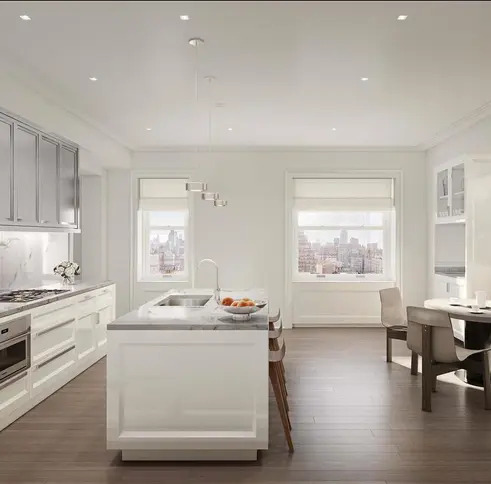 Just east of the ultra-exclusive Gramercy Park, the former Cabrini Medical Center has been transformed into Gramercy Square, a four-building complex on a half-acre of gardens. 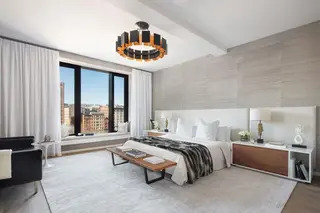 The indoor amenity space known as The Gramercy Club has a 75-foot pool, spa, fitness center, golf simulator, wine room, and guided meditation studio. 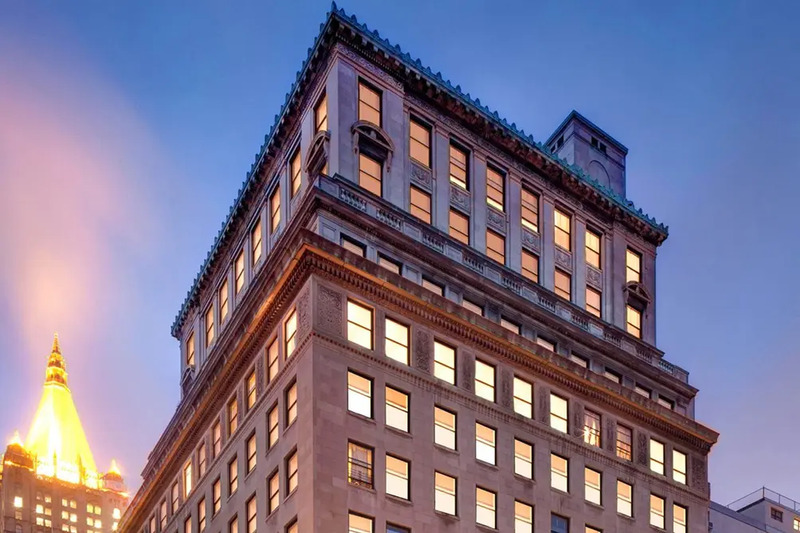 Built in 1912, 49 Chambers Street was originally home to Emigrant Industrial Savings Bank. 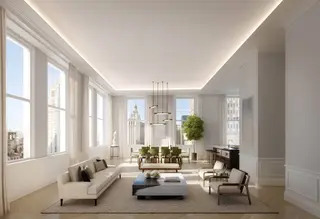 Following a conversion with The Chetrit Group at the helm and Woods Bagot and Gabellini Sheppard Associates on design, this landmarked Beaux Arts building is now home to some of the richest people in Tribeca. 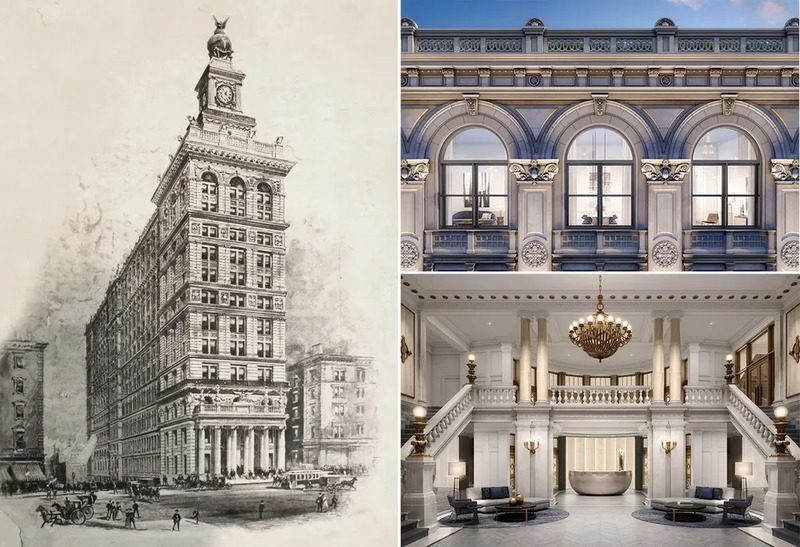 The historic Banker’s Hall is now home to a residents-only pool, and additional amenities include a modern hammam, fitness center and yoga studio, game room, and multiple business and entertainment lounges. 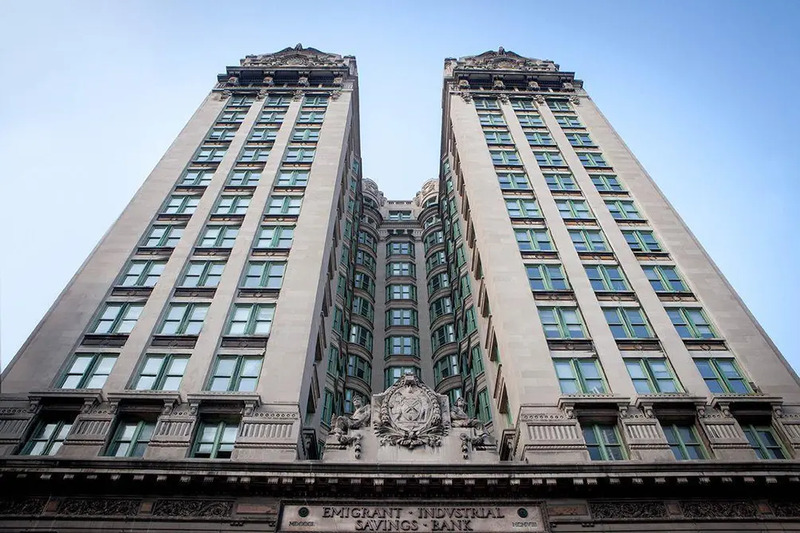 In any time, The Belnord has an esteemed architectural background: The Renaissance Revival-style masterpiece was originally built by Hiss & Weekes in 1908, and Robert A.M. Stern Architects led the conversion to condos. 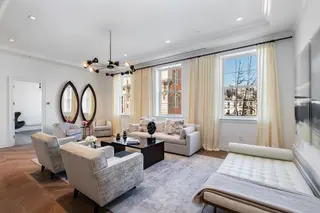 Its famous central courtyard with garden and marble fountain has been restored by Edmund Hollander Landscaped Architects, and 9,000 square feet of new amenities include a full-time doorman and concierge, live-in super, fitness center, and children’s playroom. 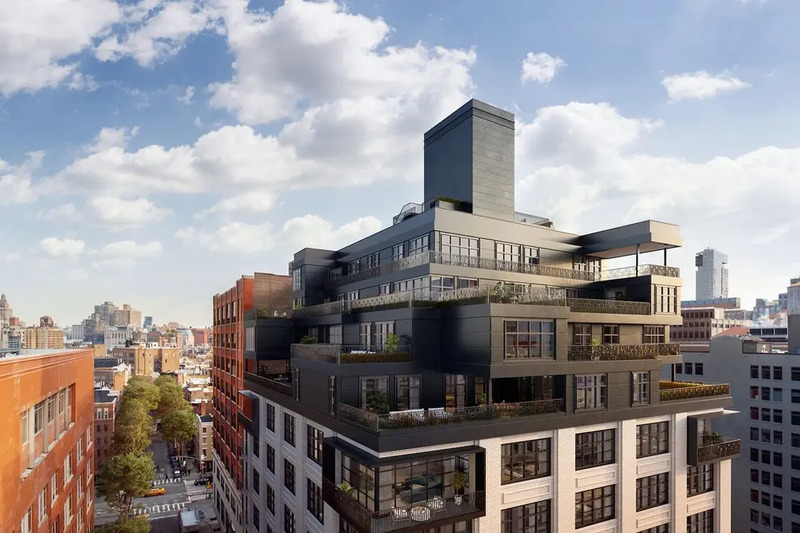 Originally built in 1912 as a printing factory, construction is winding down on the condo conversion of 90 Morton Street. 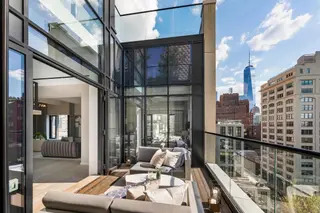 The original façade has been preserved, but the fenestration has been reimagined and the top four floors have been revamped to allow for private outdoor space. 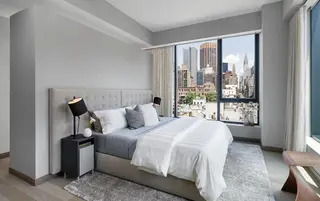 Amenities include a private car drop-off, indoor pool, fitness center, children’s playroom, and landscaped, furnished roof deck overlooking skyline and Hudson River views. 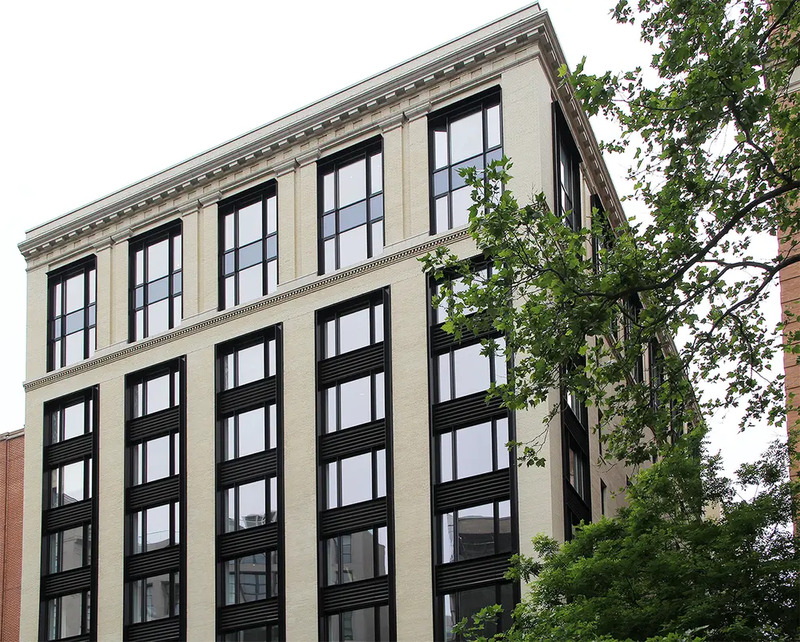 Also known as the Clock Tower Building, 108 Leonard Street has been listed on the National Register of Historic Places and, more recently, been converted to luxurious condominiums. 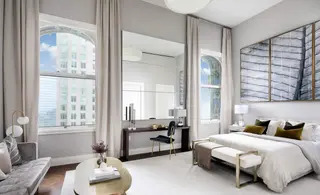 The Italian Renaissance Revival landmark designed by McKim Mead & White was masterfully restored, and the interiors by Jeffrey Beers International are rich in modern forms and contemporary design desires. 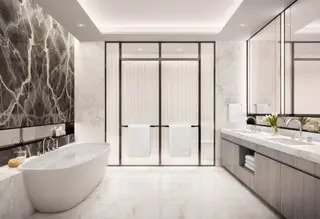 Amenities include a 2,200-square-foot fitness center, lap pool, spa area, and wine cellar with private dining room and lounge.